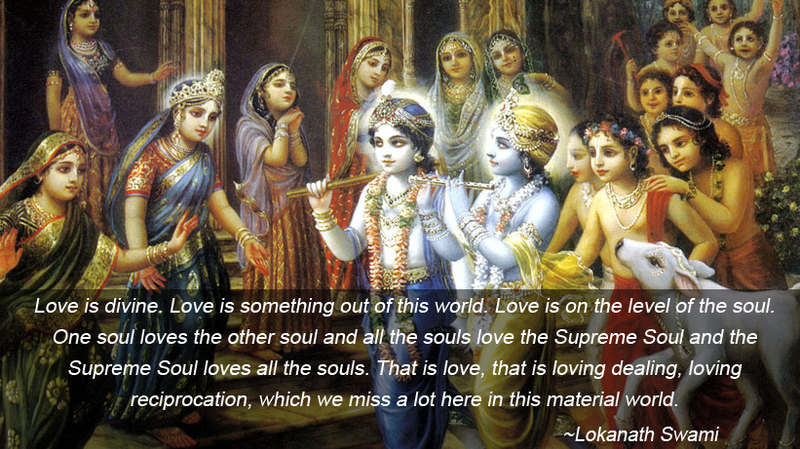 Love is divine. Love is something out of this world. Love is on the level of the soul. One soul loves the other soul and all the souls love the Supreme Soul and the Supreme Soul loves all the souls. That is love, that is loving dealing, loving reciprocation, which we miss a lot here in this material world.